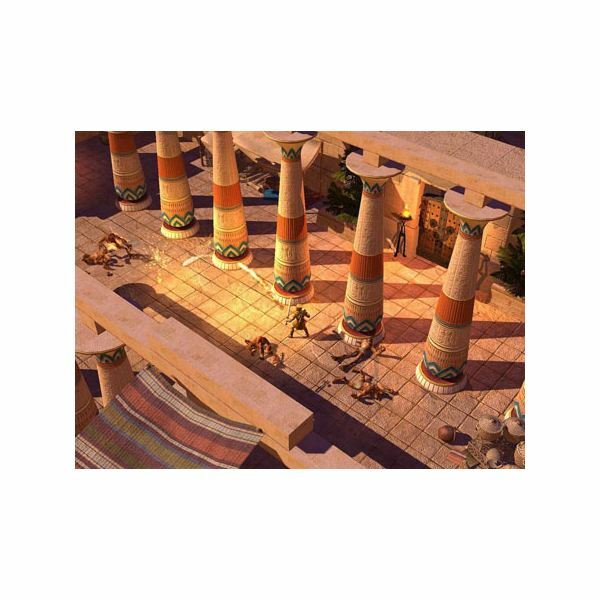 If you were to take Diablo II and base all the monsters and locations on Greek mythology, you’d have Titan Quest. It’s one of the best overhead action RPG’s ever made, and I think it is superior to the Diablo series. An expansion pack, called Immortal Throne, is also available. You can get the two together in the Gold Edition version of the game. All are available for download on Steam.com. The game begins like most every other fantasy role playing game where you are but a lowly nobody and suddenly find yourself in a world overrun with monsters. For some reason, you’re the world’s only hope. You might call it Luke Skywalker syndrome. You start out fighting a few lowly monsters until you eventually meet with King Leonidas, who was the same guy Gerard Butler played in 300. The whole thing is based on the idea that the ancient gods have had it with humanity and no longer want to be involved with them, so mankind is left to take over, otherwise the monsters will rule. Since this game is so much inspired by mythology, you’ll get to meet and kill quite a few of the more famous creatures of the setting. You’ll encounter centaurs, which half the upper body of a man and the lower body of a horse, as well as satyrs and minotaurs. There’s also plenty of undead, plus a few weird things you’ve probably never seen before. Just like in Diablo II, you’ll have a wide variety of stuff to kill. While you will have to take on legions of peons, the occasional boss monster can be very tough. One of the features I loved so much about this game is that you can actually see what kind of weapons and armor your opponent is holding. If they come at you with a sword, you can pick up that same sword after you’ve killed them. You can also spot who is carrying magical weapons, so you better take them out first since they will likely deal the most damage. In many ways, you’ll already know what kind of items to expect from fallen foes. There are plenty of treasure chests to sort through along the way. Another aspect of this game that greatly adds to the fun is the ability to customize your weapons with relics. Each of these relic pieces adds effects like fire or cold damage, strength increases, health bonuses, and more. As you get further into the game, you’ll find it best to keep a small variety of weapons handy because some creatures react more to certain damage types than others. In other words, you might have a tough time taking out a monster with a flaming sword when that monster is immune to fire damage. You will need a pretty decent video card to make this game run because it has a ton of animations to fill up the screen. For example, when your character walks through a field of high grass, he will leave a path behind him. The grass also sways in the breeze. At shorelines, water will steadily roll in, and other little environmental things help add to the realism that taxes your computer’s graphic abilities. I recently upgraded to an Nvidia GeForce 8600GT, but before that my 8400GS card struggled with making this game run smoothly, and I have an AMD x2 5000+ processor with 3 gigs of RAM. The sound effects are also nicely done and I found the voice acting to fit well into the setting. 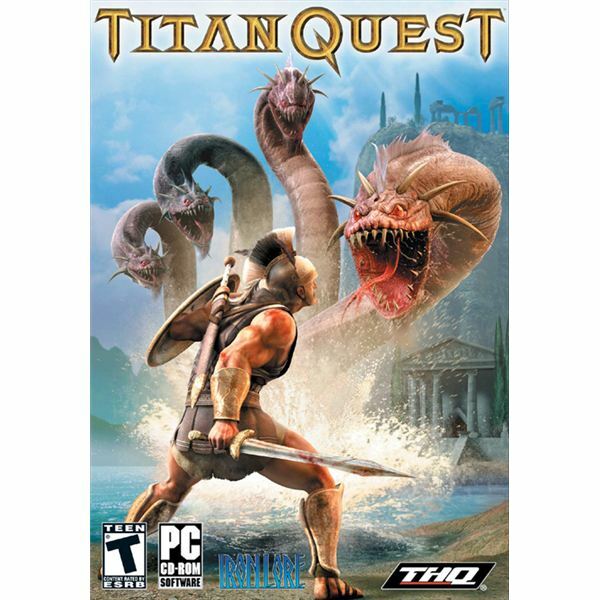 It will take you a few dozen hours to complete Titan Quest if you do all the missions, so you’ll definitely get your money’s worth out of playing this game. There are lots of people playing the online multiplayer should you decide to venture out there, though it is sometimes hard to find other players with levels close to your own.